An earthquake hit the island of Ischia, off the coast of Naples, on Monday night, officials said. First reports said one person was killed, seven were missing and at least 20 people injured in the collapse of several buildings. 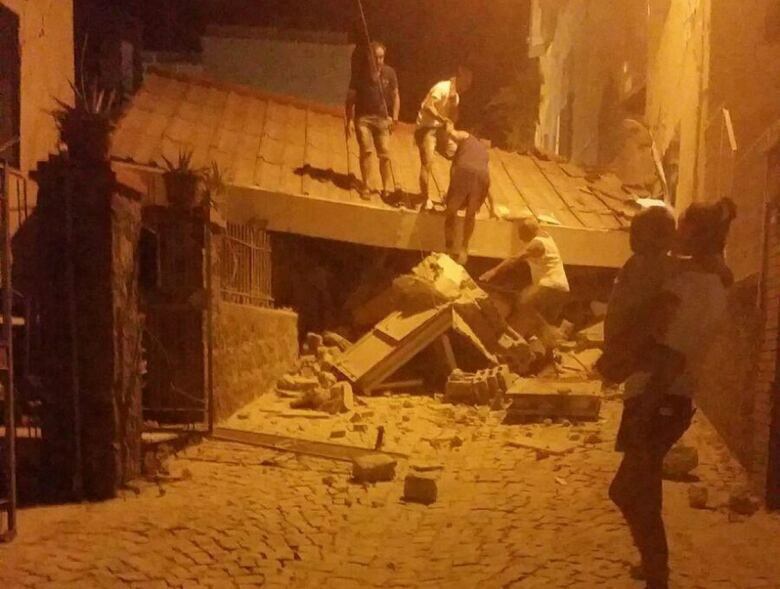 An earthquake rattled the Italian resort island of Ischia at the peak of tourist season Monday night, killing at least one person and trapping a half-dozen others, including children, under collapsed homes. Police said all but one of the people known to be trapped were responding to rescuers and were expected to be extracted alive. One person, however, wasn't responding, raising worries the death toll could increase, said Giovanni Salerno of the financial police. 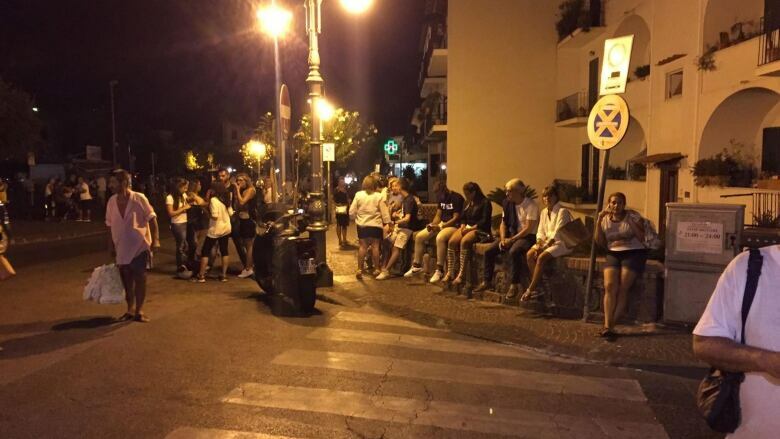 Italy's national volcanology institute said the temblor struck at 8:57 p.m. local time, just as many people were having dinner. The hardest-hit area was Casamicciola, on the northern part of the island. Television images showed that about six buildings in Casamicciola, as well as a church, had collapse. There was great discrepancy in the magnitude reported: the volcanology agency put the initial magnitude at 3.6, though it revised it to a 4.0 sustained magnitude with a shallow depth of five kilometres in the waters just off the island. The U.S. Geological Survey and the European-Mediterranean Seismological Centre gave it a 4.3 magnitude, with a depth of 10 kilometres. While such discrepancies and revisions are common, Italian officials complained that the Italian agency's initial low estimate greatly underestimated the power of the temblor. At least one hotel and parts of a hospital were evacuated. A doctor at the Rizzoli hospital, Roberto Allocca, told Sky TG24 that some 26 people were being treated for minor injuries at a makeshift emergency room on the hospital grounds. He said the situation was calm and under control. Salerno confirmed one woman was killed by falling masonry. At least three people were extracted from the rubble, the civil protection said. Civil protection crews, already on the island in force to fight the forest fires that have been ravaging southern Italy, were checking the status of damaged buildings. Together with the nearby island of Capri, Ischia is a favourite getaway for the European jet set, famed in particular for its thermal waters. Casamicciola was the epicentre of an 1883 earthquake that killed more than 2,000 people.